Ronald J. Stephens is Professor of African American Studies in the School of Interdisciplinary Studies at Purdue University. He received his Ph. D. from Temple University, and a B. A. and M. As degrees from Wayne State University. Stephens, a Detroit native, is the author of Idlewild: The Rise, Decline, and Rebirth of a Unique African American Resort Town from the University of Michigan Press, Idlewild: The Black Eden of Michigan from Arcadia Publishing, and co-curator of Welcome to Idlewild, a Michigan State University Museum traveling photographic exhibition (2003-present). In addition to his publications about Idlewild, Dr. Stephens has published essays about other topics involving African American culture and community studies. 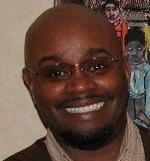 Specializing in twentieth century African American history and culture, Professor Stephens has also worked as a research assistant on Ted Talbert’s award-winning documentary-film Idlewild: A Place in the Sun, and appeared on and been cited in Idlewild: The Real Thing (an edition of Tony Brown’s Journal), Idlewild (an NPR production), Idlewild: Rebuilding Paradise (a Flint’s ABC 12 Special program), Are We There Yet? Americans on Vacation (a History Channel program), Idlewild, Michigan: A Black Historical Resort (on Milwaukee’s Black Nouveau series), and Historic African-American Towns (a High Noon Productions program for Home and Gardens Television).